Recently, a non-motorcyclist asked me the question “What's the best bike if price is no object?”. 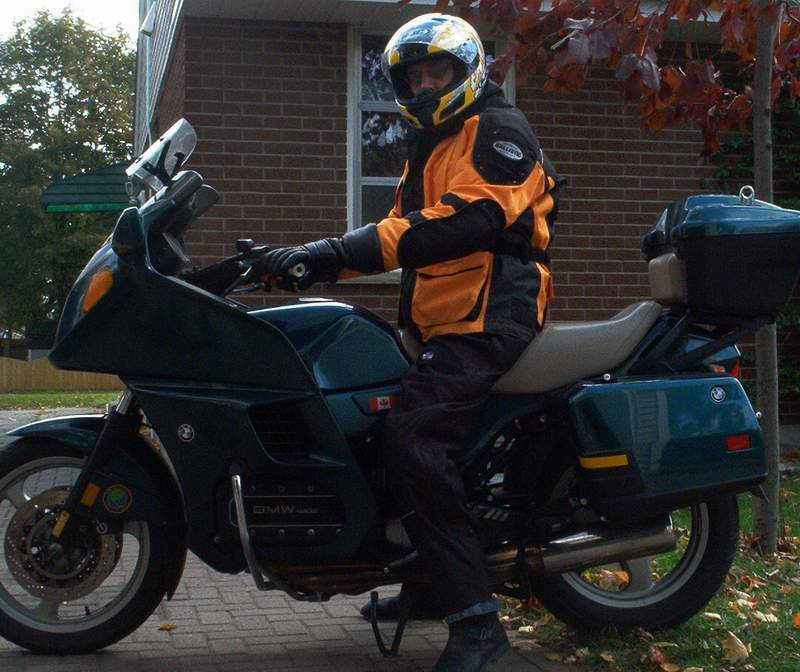 I was kind of stumped for an answer, as most motorcyclists would be, you know “Well you actually need 6 bikes, not one.” But I decided the question needed a straight answer, and I had the time, so I looked into it for a while and picked the BMW K1300GT. I'm not going to actually buy that bike, so I won't go into the details of why I think it's the best bike regardless of price. The point is that I ended up with the successor to my now departed K1100LT, which I seem to have forgotten was outrageously expensive at the time. So maybe the old beemer was not so boring after all. A few years ago, I wrote on this page that I preferred boring bikes. But now, I realize that I was wrong. For example, of course the CBX which I first thought was the exception to the rule. But then I followed it up with the BMW K1100LT. Yes, some people might have thought they were boring choices – maybe the Harley crowd or the crotch rocket types. All my bikes were pretty interesting for their time and place. They were different, and fast, even the CD175 was one of the fastest bikes on the road in Sierra Leone. 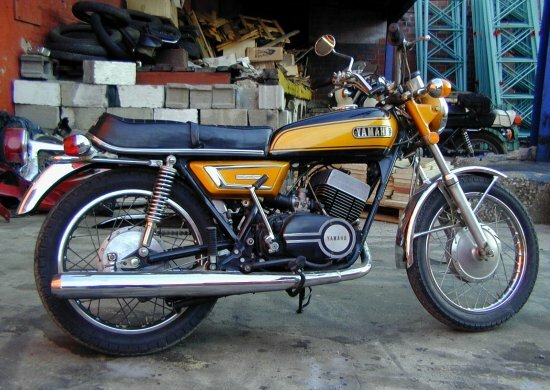 The Yamaha 250 had a surprising amount of power if you kept it tuned up and in the powerband. 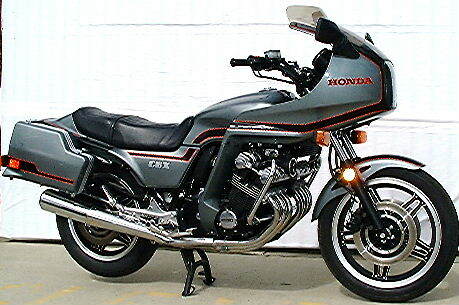 Although at the time most real touring riders were on Honda CB750 Fours. The Honda Silverwing could out-accelerate a Harley. The BMW only lacked excitement if you were to compare it to the screaming CBX. But after so many years of owning the BMW it had become second nature to me, and maybe that's why I thought it was boring. The Kawasaki Vulcan 900 is actually the first new bike I have bought with less power, and less expensive than the previous bike. Here is a list of bikes in order, including Mary Ann's Burgman 400. Each one has a link to a writeup that you can click on. Honda CD175 (1969 -1972) From new to 22,000 km. 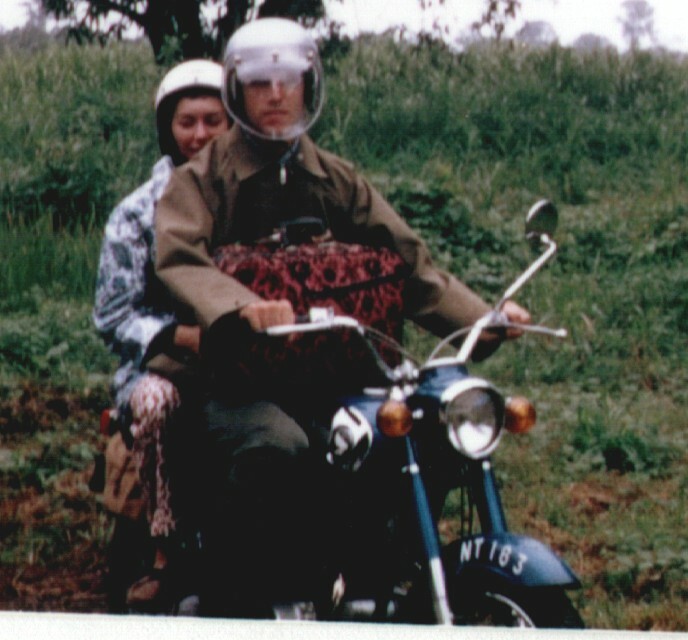 "Blue #1" My first bike in Sierra Leone, West Africa, where I was a CUSO volunteer from 1969 to 1972. Click here to read more about Blue #1. 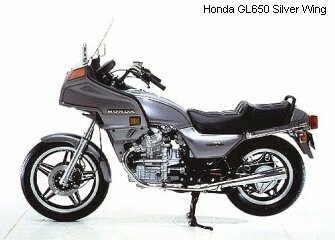 Honda GL500 Silverwing 1982 (From 1982 to 1992). 75,000 km. For a Silver Wing review page click here. BMW K1100LT 1993 (From new September 1992, to September 2007). At 156,000 km it broke down with a suspected clutch failure. If you would like to read my annual opinion of the LT, click here I have a separate opinion each year from 2001 to 2007. After the annual rants, I have the maintenance blogs. 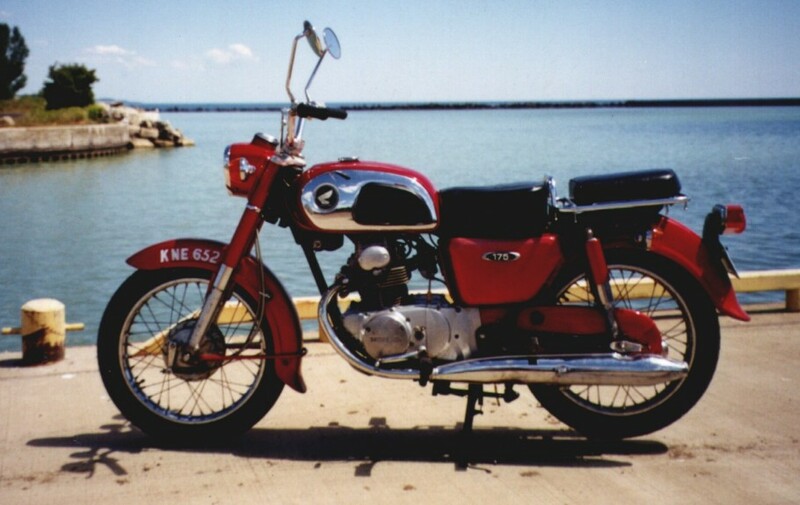 Honda CD175 (Purchased July 2001), "Red" same as my first bike except the color. Click here to go to Red's web log. Honda CD175 K3 (Purchased December 2001) "Blue Lite" started out as a parts bike in December 2001. It ran for a while then blew up. Now it's a parts bike again. Click here for Blue Lite's log. Kawasaki Vulcan 900 LT (Purchased new July 10, 2007). Click here for log. Suzuki Burgman 400, 2005 (Purchased December 2006 with 2000 km on it). This is not actually one of my bikes, it belongs to Mary Ann, but I have requests to put up the weblog and this is the only place I have. Click here for log.